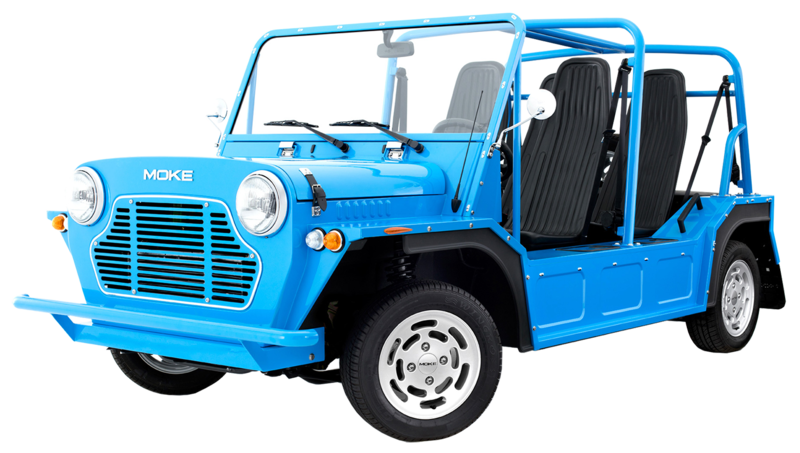 Wheel Fun Rentals of Santa Barbara is excited to announce the addition of the Moke electric vehicle to their fleet. A staple on the beaches of the Caribbean, the Moke provides a quiet and enjoyable open-air drive; the perfect way to enjoy gorgeous Santa Barbara. And, with no emissions, they are environmentally friendly and efficient. Less noise, less pollution, more fun! The Moke is a premium electric vehicle and boasts a robust battery life, providing enough power for 40 miles of driving without needing to be charged. Drivers can visit the many shops and restaurants along State Street, cruise along Cabrillo Boulevard taking in the beautiful sandy beach views, or even see the bird sanctuary. “Wheel Fun Rentals of Santa Barbara has been renting specialty cycles for over 30 years. The addition of the Moke will provide both locals and visitors even more recreational options. With the efficiency of the Mokes, our customers can explore even more of Santa Barbara.” said Teddi Drew, owner and operator. Moke rentals are $69 an hour or $179 for a half-day rental. Wheel Fun Rentals at Mason Street offers a variety of specialty cycles, electric bikes, traditional two-wheeled bikes, and are thrilled to bring Moke electric vehicles to the area. Wheel Fun Rentals is located in the heart of the Funk Zone at 24 E Mason Street and is open 7 days a week from 8am – 6pm. For more information about Wheel Fun Rentals and the Moke electric vehicle, visit their website at www.wheelfunrentalssb.com or mokesb.com to plan your visit!